Jim Edwards looks over then next 7 weeks in MMA and things are about to very interesting in the UFC, Bellator, KSW and Cage Warriors. 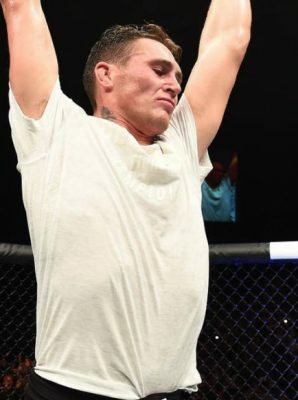 Strap yourselves in guys, the next 7 weeks in MMA are about to deliver a years’ worth of excitement and it’s no less than you loyal fans deserve. If we’re totally honest about it, 2018 has been a tough year with more disappointments than high points. Khabib vs Tony Ferguson falling out at UFC 223, Max Holloway pulling out of fights with Brian Ortega and Frankie Edgar, Derrick Lewis vs Francis Ngannou… yup, the list could go on. The fact that the biggest MMA news story of the year is about an inactive Irishman throwing a dolly through a bus and harming innocent bystanders in an attempt to confront a man he could’ve easily fought in the Octagon many a time before that moment says it all. Alas, we now head into September and October and there are finally some big events on both the European and World stages that will get fans excited once again. UFC 228 is just two weekends away and whilst Tyron Woodley vs Darren Till may not be the a dream fight that we were all hoping for a the start of the year, there’s already a sense of anticipating with the clash of styles that they bring to the table. Can Till make weight? That’s probably the biggest question right now and all eyes will be on him Sept. 7 to watch him ascend the scales in Dallas and attempt to make 170-pounds. If we do get a championship fight it’s going to be one helluva showdown. Will Woodley’s wrestling overcome Till’s standup prowess? Will it be as boring as Woodley’s fights with Stephen Thompson? Can Till make it to he cage 100-percent and make the weight? It’s going to be a fun few weeks in the lead up to this one. Then roll on UFC 229 on Oct. 6. The UFC appear to be using “The world is watching” as the promotional slog and they aren’t wrong. McGregor vs Nurmagomedov should easily be the biggest fight in history and Dave Meltzer of the Wrestling Observer is already saying that’s the #2 highest gate in the company’s history. We simply don’t know and that’s why over 2 million Americans and millions of others worldwide will be tuning in on Oct. 6 to find out. The UFC will be on fire for the next few weeks, but Bellator aren’t exactly going to be quiet either. The Champion vs Champion showdown between Rory MacDonald and Gegard Mousasi at Bellator 206 is very fast approaching and it has all the makings for a fight of the year. Add in the fact you have the madness off “Rampage” vs Wanderlei Silva, Douglas Lima and Andrey Koreshkov kicking off the Bellator welterweight tournament, and Aaron Pico’s next outing, it has fireworks all over it so don’t be surprised if it turns out to be better than anything else mentioned in this column. Whilst things are heating up Stateside, it’s worth us also sending a nod in the direction of Cage Warriors and KSW who will be keeping European fans entertained for the coming weeks. Cage Warriors return to Liverpool next weekend for a fight card headlined by local hero Paddy Pimblett as he attempts to lay claim to the vacant Cage Warriors lightweight title when he faces Soren Bak. If you’ve not seen the promo video for this go do yourselves a favour (HERE). This is a huge fight in the career of Pimblett and the result will determine whether he remains fighting for Cage Warriors or makes the long awaited move up to the UFC. Bak will also have eyes on getting the UFC call up and he’s got it in his capabilities to make it miserable night for the Scousers who turn up to support their guy Pimblett at the Echo Arena next weekend. But that’s not all. With Jack Shore looking to capture the Cage Warriors bantamweight title just four week later in his hometown of Cardiff at Cage Warriors 97, things will seriously heat up in London the week after when the KSW circus rolls into town. KSW 45 should be sensational and if you’re in London on the night McGregor faces Nurmagomedov you’ve got a night of MMA lined up in front of you like no other. Suffice to say there are great things just around the corner for MMA fans and to be fair they are long overdue. Let’s keep our fingers crossed that everything stays as is. It would be a disaster, but no less typical for all of the above not to fall out. The MMA gods are a cynical beast, but for the minute at least, it looks like they’re about to serve us up some of the best few weeks in MMA history.